Amid a sea of silverware, Barcelona's five UEFA Champions League trophies take pride of place in the Museum at the Camp Nou. From Moreton-in-Marsh, there is a pleasant seven mile circular walk taking in the villages of Longbrough and a fine pub in Bourton-on-the-Hill. From Moreton, you follow a footpath south west across the fields, gently climbing up to Longbrough. From this sleepy hamlet, you strike north taking in wide views of the countryside and passing close to the charismatic Sezincote House, which apparently mixes Cotswold Mogul and Moorish architecture. After the steep climb up to Bourton-on-the-Hill, stop in the Horse and Groom for a pint or lunch, before heading east down the road towards Moreton. After a few hundred yards, you take the lane north towards Batsford Park, and then follow a winding footpath east back to Moreton. The route includes stretches of the Monarch’s Way (named for the escape of King Charles II from the Battle of Worcester in 1651), and the Heart of England Way. 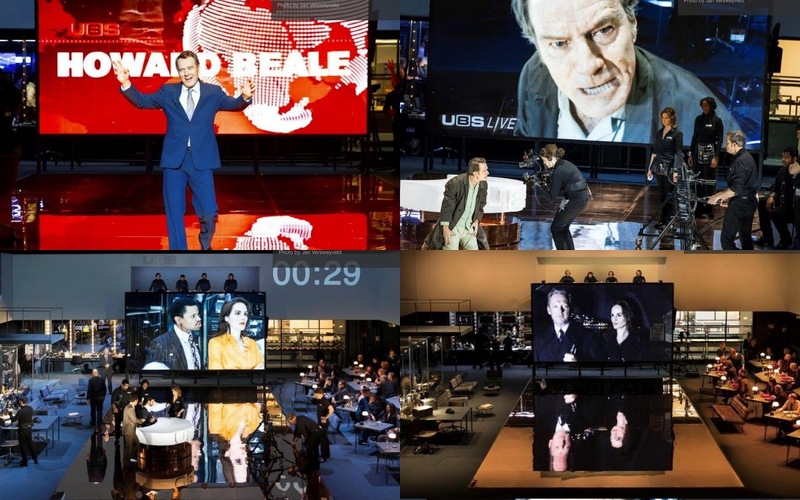 Making full use of the Lyttelton Theatre's roomy stage, this visually impressive production has an elaborate set featuring a full-blown TV studio, with working cameras actually projecting live footage onto a large screen at the back of the stage. There is a café-bar to one side where the cast mingle with some members of the audience. The TV studio swarms with a huge cast, including presenters, executives, sound and lighting technicians and make-up artists, all plying their trade on stage in full view of the audience. An adaptation of a successful film from the 1970s, Network tells the story of a news show that goes on a fraught rollercoaster ride, after its ratings dive and its anchorman loses the plot.